It’s probably crossed your mind at some point when you’re driving or walking across a bridge. What if? For the most part, there is nothing to worry about. Millions of people cross bridges everyday and it’s not very often we hear about one collapsing. That’s the good news. But the bad news is this: it happens more often than it should, and even today, with all other the technology and knowledge, it still happens. Bridges do collapse. 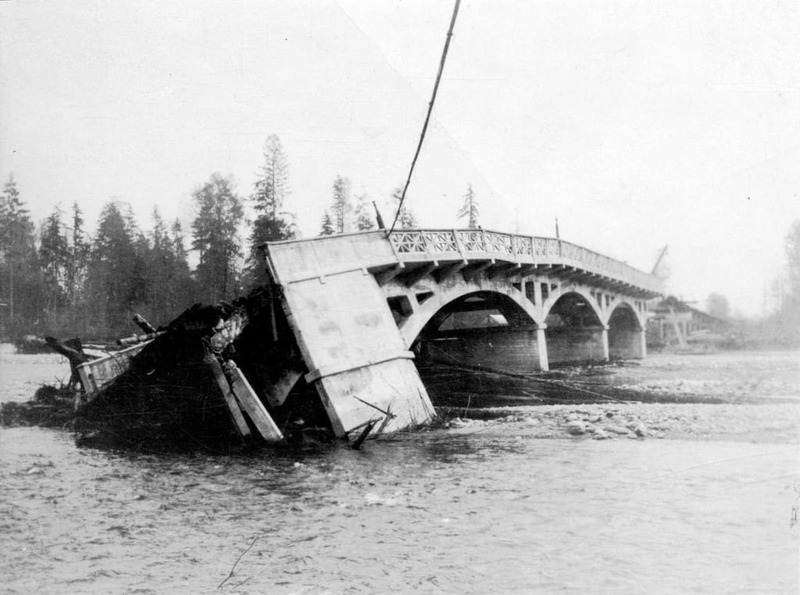 Here are 10 of the worst bridge collapses from the last 100 years. This wooden bridge over Capilano Creek, in Vancouver City, Canada, was fine transporting vehicles. That is, until disaster struck in 1917, and the bridge collapsed. Thankfully there are no deaths related to the incident. In 1983, one of the pins used in the construction of the Mianus Bridge in Greenwich, Connecticut was sheared. It caused an entire 100-foot section to collapse, killing 3 people. 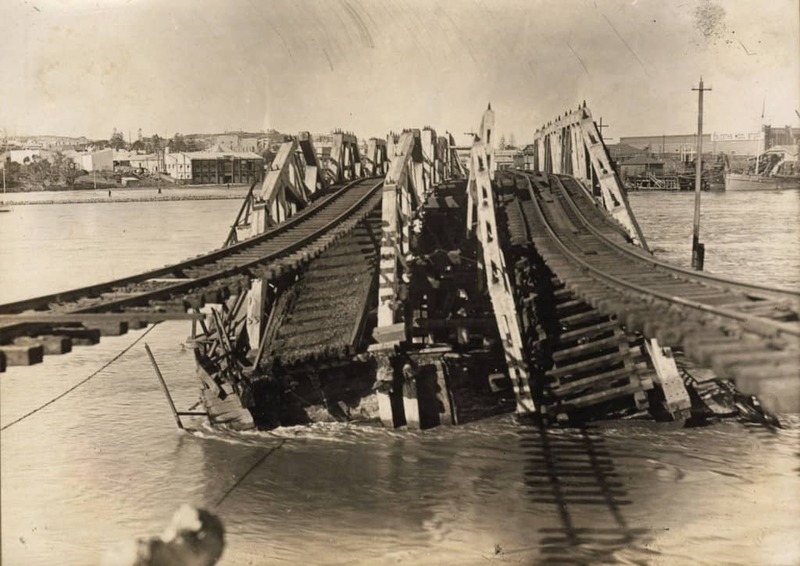 It was a stroke of good luck when the Fremantle Bridge collapsed in 1926. After recent flooding, the bridge began to sag when a train crossed it. Soon after, and fortunately with no passenger trains present, it collapsed. 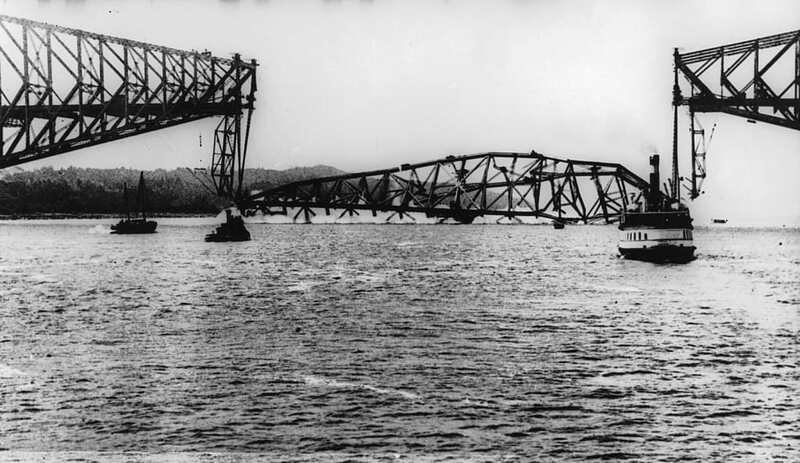 Nearly 100 years ago, on September 11, 1916, the Quebec Bridge collapsed for the second time (first time was in 1907). 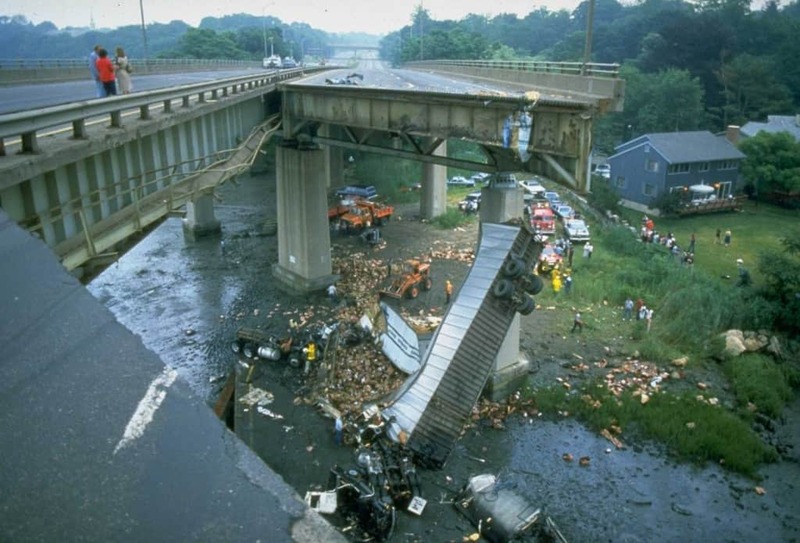 There was more weight on the bridge than it was designed to carry and 95 people died from these two accidents. 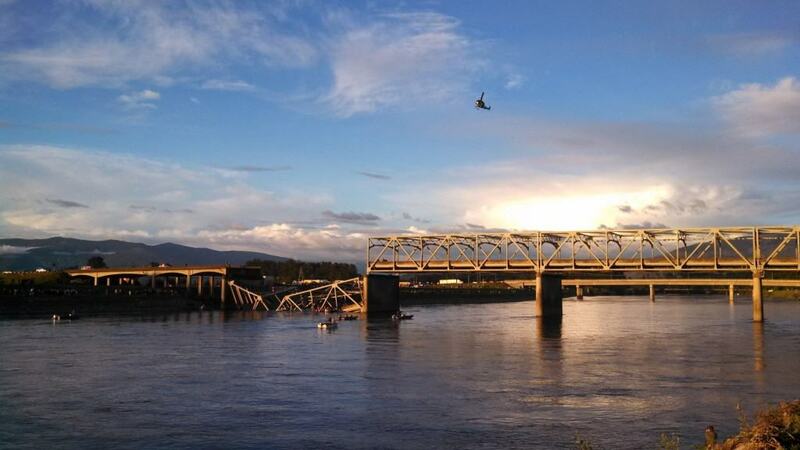 In 2013, the Skagit River Bridge in Washington was carrying an oversized load that was hitting the overhead support beams on the bridge. It collapsed the bridge immediately in the northernmost part and fortunately, the passengers of the two fallen vehicles were rescued by boat with no injuries. 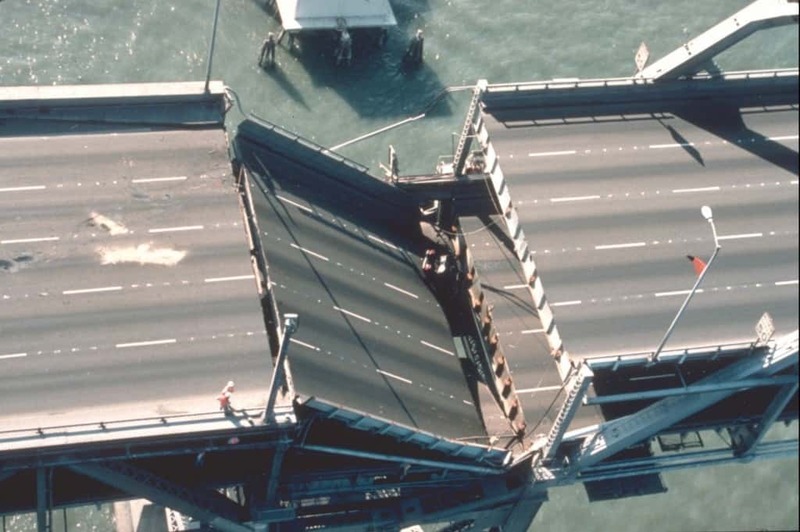 The Bay Bridge, between Oakland and San Francisco, was fine until the 1989 Loma Prieta earthquake happened. 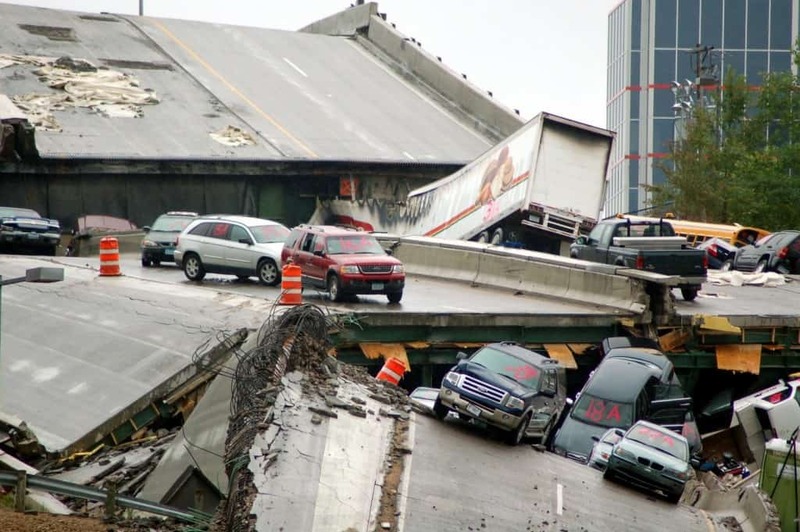 It caused part of the upper deck to collapse, and the bridge closed down for a month. 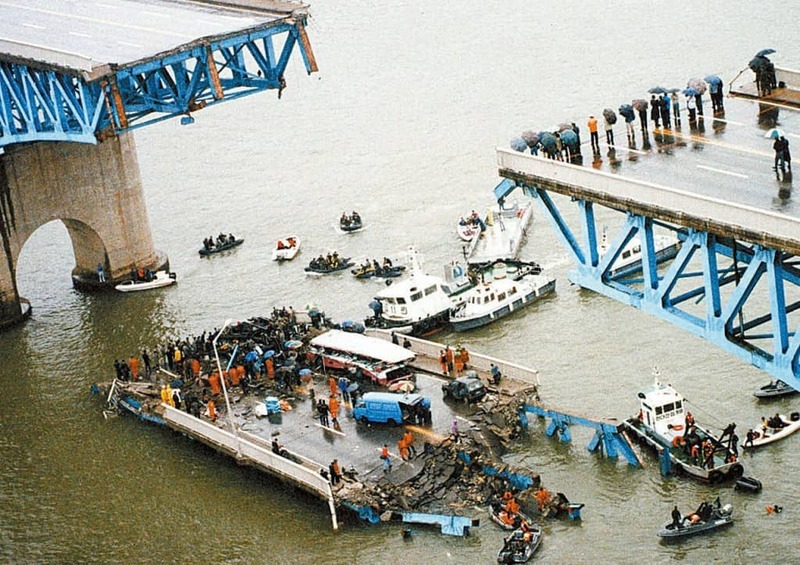 In 1994, morning rush hour on the Seonsu Bridge in Seoul, South Korea, came to a screeching halt when the central section of the bridge collapsed. 31 people were killed. 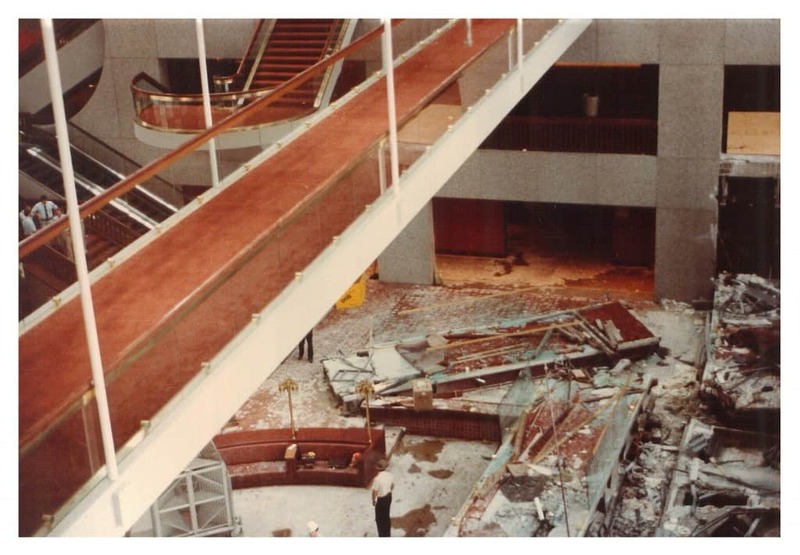 This event is considered one of the biggest structural disasters in the world, and it occurred inn 1981, at the Hyatt Regency in Kansas City, Missouri. Two suspended walkway bridges were packed with people (some dancing) and the sheer weight brought the structure down, killing 114 people. This bridge was the second busiest in Minnesota and saw 140,000 vehicles cross it daily. But in 2007, on a fateful evening during rush hour, is suddenly collapsed, killing 13 and injuring 145. In 2012, during an official visit from important people, the Dal Bridge collapsed, injuring 30 people and killing two. 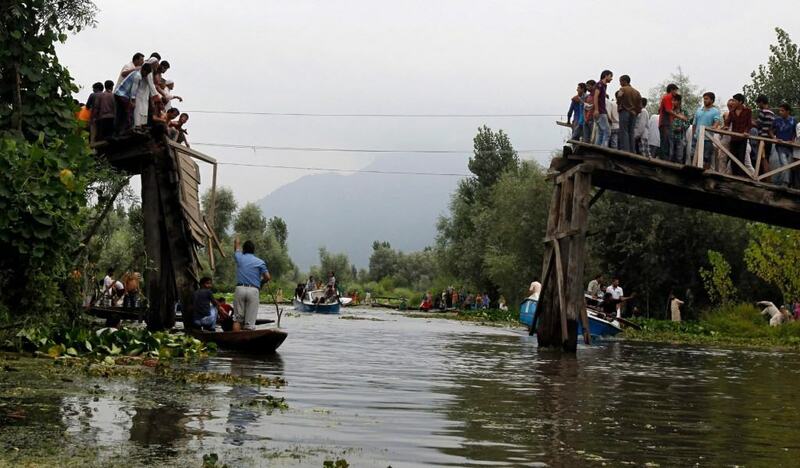 The wooden bridge couldn’t hold the crowd of people, dozens of whom plummeted to the water below during the collapse.